The aim of the journal is to disseminate original, scientific, theoretical or applied research in the field of Engineering and allied fields, to dispense a platform for publishing results and research with a strong empirical component, to aqueduct the significant gap between research and practice by promoting the publication of original, novel, industry-relevant research, to seek original and unpublished research papers based on theoretical or experimental works for the publication globally, to publish original, theoretical and practical advances in Management, Humanities, Physics, Chemistry, Mathemtics, Zoology, Botany and English Literature, to impart a platform for publishing results and research with a strong empirical component, to create a bridge for significant gap between research and practice by promoting the publication of original, novel, industry-relevant research, to solicit original and unpublished research papers, based on theoretical or experimental works. 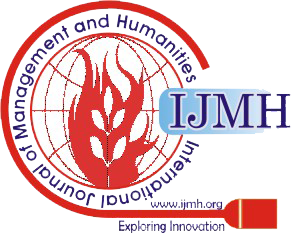 Papers for the regular issues of the journal can be submitted, round the year, electronically at ijmh@blueeyesintelligence.org, ijmhjournal@gmail.com. After the final acceptance of the paper, based upon the detailed review process, the paper will immediately be published online. However, assignment of the paper to an specific Volume / Issue of the Journal will be taken up by the Editorial Board later; and the author will be intimated accordingly. For Theme Based Special Issues, time bound Special Call for Papers will be announced and the same will be applicable for that specific issue only. One set of page proofs (as PDF files) will be sent by e-mail to the corresponding author or a link will be provided in the e-mail so that the authors can download the files themselves. These PDF proofs can be annotated; for this you need to download Adobe Reader version 7 (or higher) available free at get.adobe.com/reader If authors do not wish to use the PDF annotations function, they may list the corrections and return them to IJMH in an e-mail ijmh@blueeyesintelligence.org, ijmhjournal@gmail.com. Please list corrections quoting line number. If, for any reason, this is not possible, then mark the corrections and any other comments on a printout of the proof and then scan the pages having corrections and e-mail them back, within 05 days. Please use this proof only for checking the typesetting, editing, completeness and correctness of the text, tables and figures. Significant changes to the paper that has been accepted for publication will not be considered at this stage without prior permission. It is important to ensure that all corrections are sent back to us in one communication: please check carefully before replying, as inclusion of any subsequent corrections cannot be guaranteed. Proofreading is solely authors’ responsibility. Note that IJMH will proceed with the publication of paper, if no response is received within 05 days.